Sometimes you just need the warmth and comfort that noodles covered in cheese provide without breaking that low-carb streak you've got going. 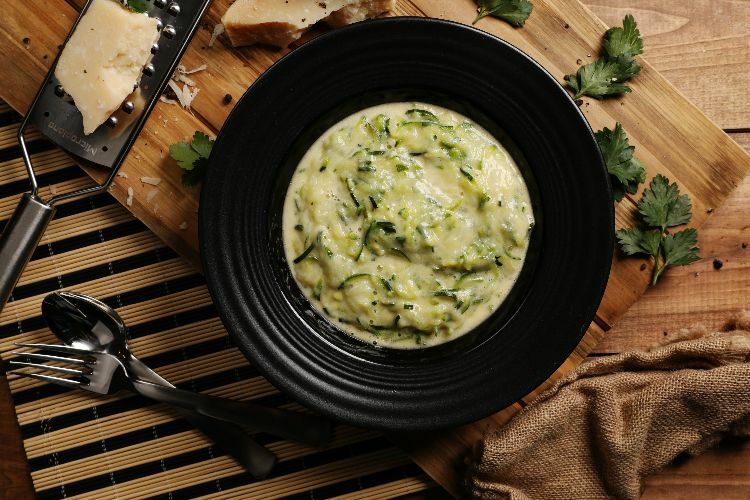 Luckily, as you can see in the recipe below, you can indulge without guilt if you let zucchini take on the job of the noodles. They still become super soft, and when they're coated in all that yummy cheese, it's a delicious dish you can feel good about eating. If you don't have a spiralizer or you just want to cut down on time, you can find packaged zucchini noodles in a grocery store. Beets and carrots transformed into noodles also can be found for those times when you want to add some color to the dish. Cut off the ends off the zucchinis and turn what remains into noodles with a spiralizer. 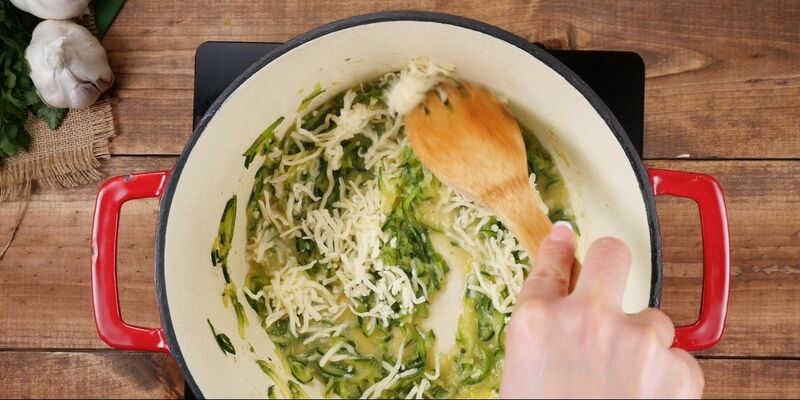 Place the zucchini noodles into a large sauté pan, sprinkle with salt and toss. Add the vegetable stock and bring to a boil. Continue to cook on high heat until the stock is almost completely evaporated and absorbed by the zucchini. Reduce heat to low and add the butter, almond milk and cheese. Stir until fully combined and the cheese has melted.